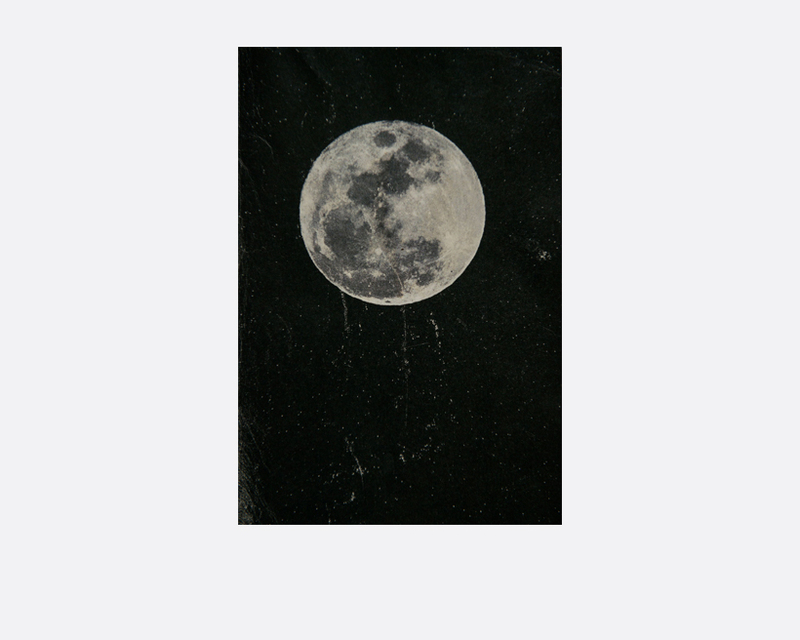 I’ll be looking at the moon, but I’ll be seeing you started as a photobook project by the photographer on the expressions and registers of love. It is about ways of seeing one’s lover, the desire and heartache of looking for the elusive other in the world around. His wife is the subject of these portraits that appear in dialogue with other images across the spreads that reveal the body of a lover and relate it to the organic world, wherein identity, memory and desire draw on a universe of meaning making. Jean Luc-Godard’s Le Mépris and the Billie Holiday song I’ll be seeing you. In the second stage of the project his wife, decided to take control of the narrative and inflect the way in which she is represented. She has used text to describe her emotions, some directly related to the images, while others respond to their moods and atmosphere. Through erasures, defacements and damage, she converts the photographs into a series of selfportraits. Her memories come in the way of the trajectories and interpretations of these images indicating the presence of other lost, past lovers lurking and haunting in the interstices of the images, adding layers to their present love.